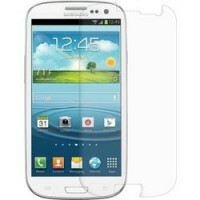 Protect your mobile screen from dust and scratches with a clear Goospery screen protector .. The packing includes 1 pcs Clear Anti-Finger Screen Protector & 1 pcs Anti-finger Screen P.. Protect your mobile screen from dust and scratches with a screen protector. It does not le..